* Free trial on play money games. 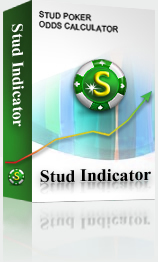 Option 1: Purchase one year license directly for Stud Indicator ($69), Click Here. Option 2: Purchase life time license directly for Stud Indicator ($149), Click Here.